New York is expensive! The good news is that during the summer there are lots of great free events that you would have to pay for in many other cities. I have been going to these free summer events in NYC for years and they are always so much fun. I want you to take advantage of them too! And good news some of these are great summer events for kids too! Whether you live in New York City or are just visiting, take advantage of these NYC free summer events if you can. As you might have expected, these great summer outdoor events are popular, so you have to be prepared for the crowds. You can’t complain, these are free events! I am not a movie person but I love going to outdoor movies. It is so fun to picnic, lie in the grass, and watch a movie. In NYC, there is no shortage of options, so everyone can find something they like. My favorite free summer movie venue is Bryant Park. They usually show classic films. 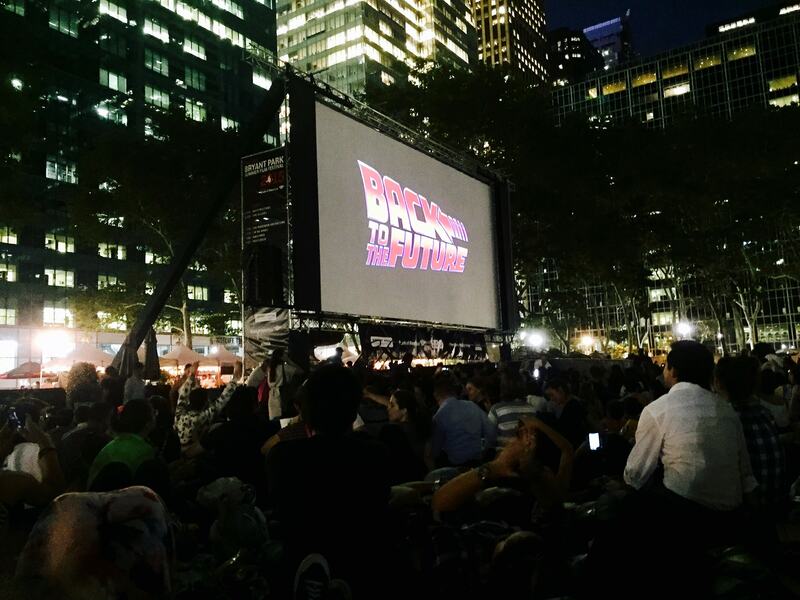 Such good memories of watching my favorite movie, Back to the Future, in Bryant Park! Each venue differs in the schedule, type of movie, and setup. Some allow chairs, while others only allow blankets. There are some venues that will sell food, so you don’t even have to pack a picnic. You should check the website for the outdoor movie you would like to attend to find out the rules and other important information. Just be sure to get there early to get your spot. At Bryant Park, there is the running of the blankets at 5 pm when they open the lawn. Everyone runs to get the best spots. You don’t have to get there that early, but don’t expect to arrive a few minutes before the show starts and have room. Check out this complete listing of outdoor movies in NYC. Philharmonic in the Park is one of my favorite events. The NYC Philharmonic Orchestra puts on a free show in various NYC parks. Everyone picnics and enjoys the music, and then there is a fireworks show immediately afterward. The show includes one intermission. Anisa and Russell close to the stage at the Philharmonic in the Park concert on the Great Lawn. I usually go to the show on the Great Lawn in Central Park. Around 50,000 people attend the show in Central Park each year. You will want to get there early to get a good spot. While you don’t need to be close to the stage, you will want to make sure you have enough room for your group. You can picnic while you wait, so the time will fly by. Just keep your fingers crossed that the weather cooperates. One year, we had a downpour in the middle of the performance, so they had to end early. Check out the schedule for the Philharmonic in the Park Shows. During Summer Streets New York, seven miles of streets are closed to car traffic so that the public can bike, run or walk on them. It’s so fun to be able to walk in the middle of the street without worrying about cars. They also have special attractions each year that are unique. In the past, you could do zip lining in NYC, go down a huge waterslide, or do rock climbing. From 7:00 am to 1:00 pm on select Saturdays in August, Summer Streets extends from the Brooklyn Bridge to Central Park, along Park Avenue and connecting streets. You can enter at any point along the route. Check out more details about Summer Streets. Note: If you enjoy biking, be sure to also try biking in Central Park during your time in NYC. Yoga is one of the best forms of exercise there is, and being able to do it outside in the middle of NYC is something special. In the midst of the craziness of midtown Manhattan, you can find some zen in Bryant Park each Tuesday and Thursday. You don’t even need to bring a yoga mat, it will be provided for you. Plus, you can earn vouchers for credits toward yoga classes after you attend 10 sessions of free outdoor yoga in Bryant Park. So many yogis! A little bit of zen in the middle of midtown Manhattan. 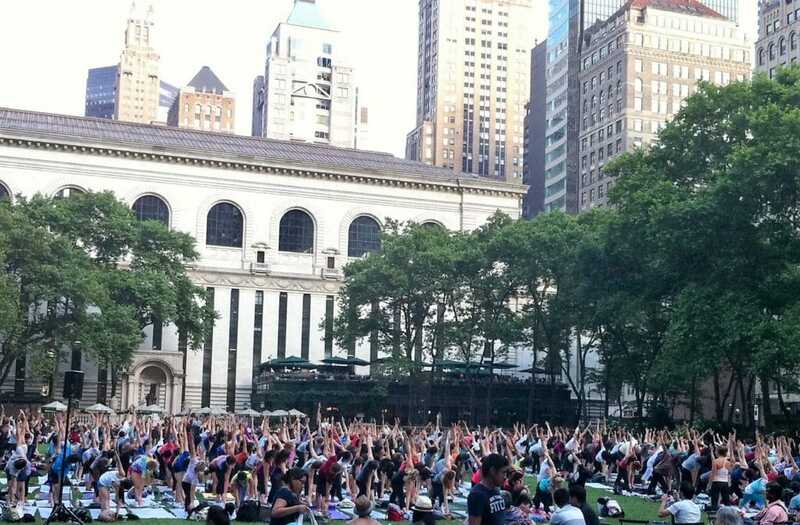 The Tuesday Bryant Park yoga class is smaller and held on the upper terrace in the morning. Thursday at 6 pm the class held on the lawn is huge with over 1,000 yogis. It is amazing seeing that many people move in sync. The classes are good for all levels. The teachers usually give some options for those that are more advanced. Check out more details about Bryant Park Yoga. The Macy’s Fireworks show has become a tradition in each Fourth of July in New York City. While they may switch up the location each year, they always have multiple barges and lots of fireworks synchronized to music. The show is nationally televised with pre-recorded musical performances leading up to the main event. 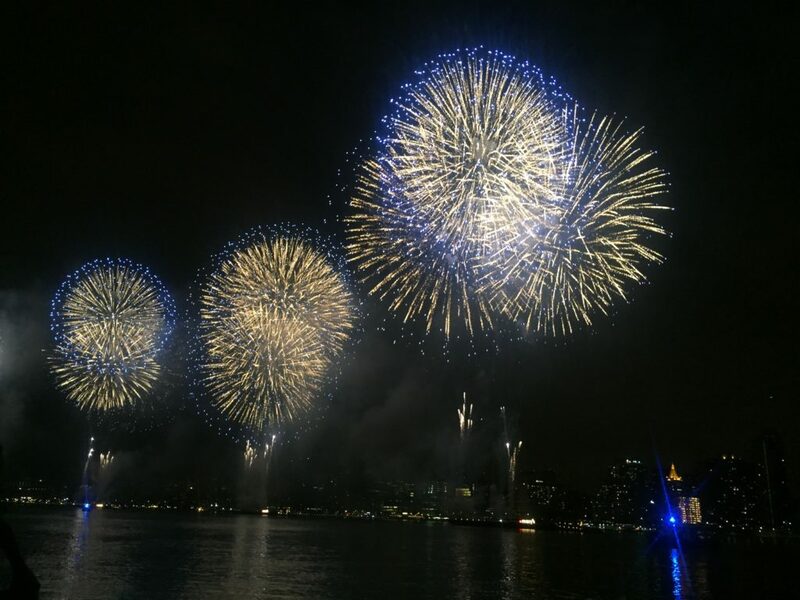 This year, an NYPD helicopter flyover and an FDNY waterboat show will kick off the celebration, with fireworks set to start at approximately 9:25 pm. The Macy’s Fourth of July fireworks light up the sky over Manhattan. Prime viewing locations will get crowded, so again I recommend getting there early and picnicking while you wait. If you want to splurge, many rooftop bars will have watching parties or you can do a boat cruise. Check out more details about the Macy’s Fireworks. 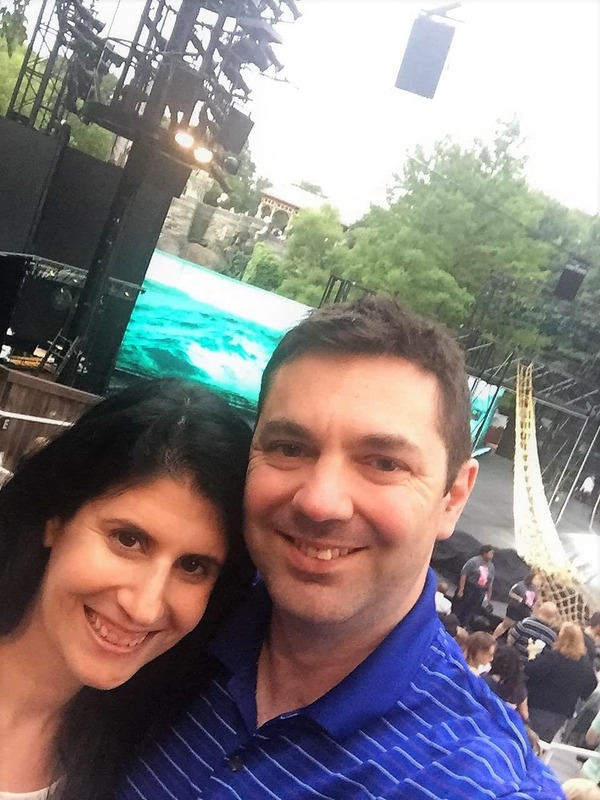 Anisa and Russell by the Shakespeare in the Park Stage before a performance of The Tempest. Each summer, the Public Theatre puts on a few different Shakespeare plays for free. The productions often feature big-name celebrities – bonus! One year, I saw Meryl Streep. Additionally, there are usually celebrities in the audience. I remember one year I spotted Cynthia Nixon. The Delacorte Theatre (in Central Park) is not that big, so there are no bad seats. Even if you are not interested in the particular play, I would recommend going for the experience. As you can imagine, demand for tickets is very high. You will need to get up early and wait in line for tickets to be distributed at the theater at noon for that evening’s performance. I would aim to be in line by 8 am. Or if you are feeling lucky, you can enter the online lottery. On some days, a limited number of vouchers are distributed at locations in each of the five boroughs between 12 pm and 2 pm. The shows are usually Tuesday through Sunday at 8 pm. Unfortunately, if the show is canceled because of weather, the tickets cannot be exchanged for another date. Check out more information about Shakespeare in the Park. You can see some of the top musical acts in NYC for free! In most cases, all you need to do is get there in time to get a good spot! Many are part of the morning talk shows, so you might need to wake up early, but for the chance to see one of your favorites it’s a small price to pay. My favorite free concert memory is when I saw Bon Jovi in Central Park for free! I don’t think I will ever forget singing along to those hits along with my 50,000 closest friends. Check out this list of free summer concerts in NYC. 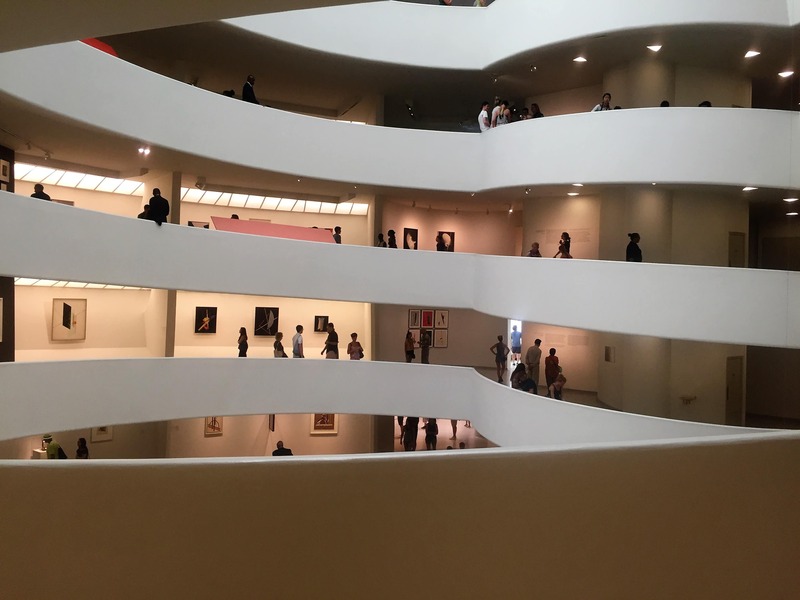 Each year there is one day when the seven museums along the northern stretch of 5th Avenue, from 82nd Street to 105th Street known as the Museum Mile, open their doors for free. This includes the Metropolitan Museum of Art and the Guggenheim Museum. Get there as early as you can because there will be lines. They also usually have some activities on the street and street vendors selling food. It’s a great event for the whole family. The Guggenheim Museum is one of the museums that participates in the Museum Mile Festival. Get more information about the Museum Mile Festival. Pretty much every weekend there is a parade in NYC. You may be familiar with some of the big ones like the Gay Pride Parade or the Puerto Rican Day Parade. It is like the Seinfeld episode. And there are many more. Some also have street fairs, fun runs, or even festivals to go along with the parade. Be sure to use mass transit to get to the parade as there will be street closures. Also, it may be difficult to cross the street when the parade is going by. You can always ask one of the police officers and they will direct you to where they are allowing people to cross. I could not find a comprehensive list, but here is a list of the largest parades. There are so many fun summer events in NYC and it’s so nice that many of them are free! Have you been to any of these events? What free summer events in NYC are your favorite? Be prepared to wait! Space is limited and these outdoor events in NYC are popular. Bring your own picnic and enjoy the warm weather. Take advantage of these great free summer events and try to go to as many as you can. If you aren’t able to make it to NYC for the Museum Mile, you can save money on visiting these museums by purchasing an NYC attraction pass. We are happy to co-host the Weekly Postcard Linkup. Everyone is invited to join us and share their travel blog posts here beginning at 12 p.m. (PST) / 8 p.m. (GMT) Friday, June 16th. PreviousNeist Point Lighthouse: Best Sunset on Isle of Skye? I used to love outdoor movie theaters when I was a child. Now I would rather watch movies in a quiet movie theater or at home. 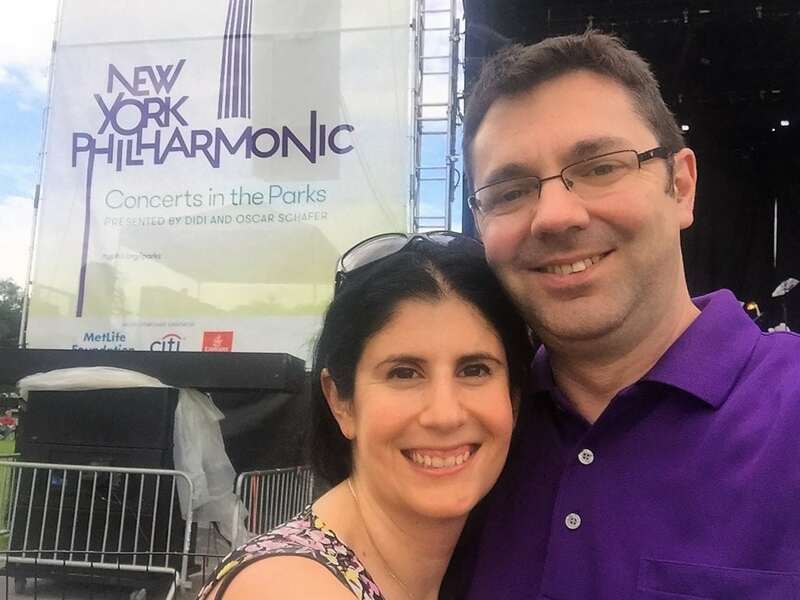 I never attended the NYC Philharmonic in the Park event, although I’ve been in New York so many times. This is something I’m sure I would enjoy. Anda – Philharmonic in the Park is probably my favorite event ever. I hope you get to go one day! It’s always good to know where you can save money, especially in a city like NY! Leigh – So true! There really are a lot of free events, especially in the summer. Love the pics of you! I’ve never been to NY, but maybe one day soon. The Shakespeare in the park sounds so fun! My son love Shakespeare, he would love that. Amanda – Thanks so much! Impressed your son loves Shakespeare. I hope you get the chance to take him to Shakespeare in the Park one day. Yay, tons of ways to enjoy the summer without having to spend tons of cash. We have tons of similar events in Los Angeles. In here, we have tons of night markets too. I want to go to a couple of those. Yes night markets are a lot of fun! There are some in New York too! Thank Leah! Glad to hear you like summer in NYC too. The outdoor movies are always so much fun. Lisa – Yes doing public yoga can be intimidating. But there are so many people doing it at Bryant Park if you are in the middle of the rows, you will blend in. Jessica – I’m guessing that was the Mermaid Parade? I hope you enjoyed it and that the weather gets better for the rest of your time here. The Guggenheim is definitely on my list but that yoga looks amazing too! So many people coming together looks fantastic! Thanks for the tips! Lauren – I hope you get the chance to do both! How can you not be a movie person! My family are huge movie-goers and we have hundreds of movies! Although I’ve realized by not going so much or buying so many movies, I can travel more! haha But movies in the park and Shakespeare in the park both sound incredibly awesome!! #TheWeeklyPostcard! Haha Lolo, yes I tend to fall asleep during movies, even ones that I like! We have never made it to New York City, but hope to one day. Thanks so much for sharing some free events that would make the trip a little easier. I love the idea of the free museums. Museums are always on our travel list, and I agree with you that they are a great family activity. I also love the free outdoor movies. We are a movie-loving family so that would be a great time! Sarah – I hope you make it to NYC one day. Just for future reference, many museums in NY have a periodic free days throughout the year so be sure to check that out. And some of the outdoor movie venues focus on family movies so I’m sure you would all love that! I’d really like to attend one of the free Philharmonic concerts as a normal ticket would be quite expensive. It also seems like a much more relaxed & family friendly atmosphere than the typical concert hall. Shakespeare in the Park would also be great, but I’m not quite sure if I’d be up for waiting for tickets that long. Yes the Philharmonic in the Park is great, not sure I have really seen many families there though. I am not sure how many kids would really enjoy it. And I don’t blame you for not wanting to wait in line for Shakespeare in the Park tickets. You can always try for the lottery! Awe, too bad you had to miss it. I hope you get the another chance to come to NYC and do it. Vlad – Haha yes it is expensive, but you really must come and visit! I love NYC and I am happy to learn about these summer events! Quite motivating! Agness – So glad to hear that. I hope you get to attend some of them. Wow those are great concerts! Glad you were able to take advantage of some of the free stuff! Haha yes, so much to do it’s hard to fit in, even if you live in NYC! Yes, it doesn’t have to be expensive!